As if you didnt know how monumental this election was already. How about this... 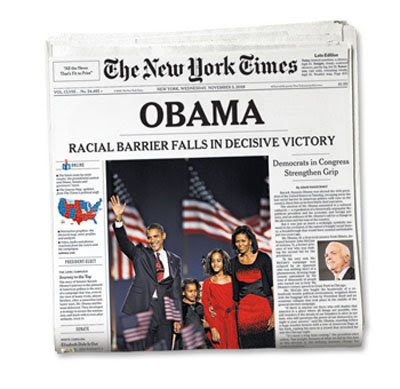 The New York Times has only used a 96 point type face on the front page four times in their history.